But how do you know if you can legally or at least responsibly use Internet images on your blog? Is it copyright protected or not? Images with watermarks or with a copyright statement embedded into the image are obviously protected and cannot and should never be used, but how can you make an informed decision about whether you can copy and use other images on the Internet? There is an easy answer now with a simple usage check provided by Google Image Search. Google has tightened up image search and now provides details about usage rights for images. Step One. Search for an image as you normally would on Google Image Search, but then click on the Tools button. A new sub-menu will open. Click on Usage Rights. Step Two. As no filter is selected by default, select Labeled For Reuse from the Usage Rights drop-down menu. When you do this you will notice that the selection of images changes immediately. Step Three. Select the image that you would like to use and you will see the options available for the image along with a selection of similar images. Up until Google changed its Image Search, it was possible to simply open any image in a new browser tab and copy the image regardless of usage rights. This is now not possible and is a positive move by Google in an attempt to protect usage rights. It is still possible however to do a right click and copy from this details screen, but I would advise against this. Step Four. The best way to access your selected image is to click on the Site button. This will take you to the site that holds the image and from there you can make an informed decision about how you can use the image and if you need to add a credit. Now you can be certain that you can use the image. 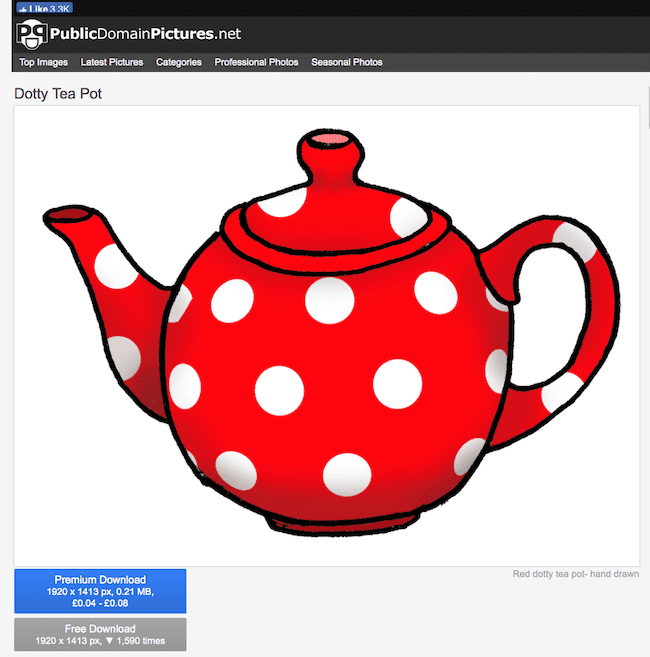 To avoid any possibility at all of the copyright infringement, I recommend using Pixabay for images with CreativeCommons licences, so no attribution is necessary. You can also use many other sites that offer free stock images that you can freely use. Here is a list of 25 websites where you can get free images. However, my preferred option is to create unique images whenever it is possible. I use Canva, which is a free online app for creating images. It is very easy to use and comes with a large library of free to use images, line drawings and design element. Of course, you can always take your own photos, as well as use screenshots as I have done in this article. The days of copying images on the Internet without giving any thought to copyright and usage rights are over. Not only is it lazy and wrong, but there is always the possibility that it could land you in legal difficulty. Always check. Always make sure, and always be responsible with Internet images. The first thing you must assume is that everything is covered by copyright, just as everything you write is. It doesn’t matter if it is widely used; if you get hit by a DMCA takedown you could find your blog taken down, or worse, at the wrong end of a lawsuit. “At least I checked” is not a legal defence. There are two kinds of images you can use. Images (or any creative works) are in the Public Domain if they are not covered by copyright. That makes them free to use anyway you wish, including commercially. Since copyright isn’t actually a right, but a state imposed monopoly. copyright terms are different in different parts of the world. You can find out what the copyright terms to determine if the work is in the Public Domain. Thanks for Morguefile ~ that’s a new one for me. I use Dreamstime, which has tens of thousands (maybe more, I’m not sure) images of just about everything. Yes, you have to buy these images, but there are plenty of very cheap ones. I buy up a bundle of credits for about 15 bucks, and that usually lasts me a month of blog images. I never have to worry about getting a takedown notice this way, but it isn’t free.